I almost regret selling my Lotus fauxjumper now, didn't realise they were as early as '92. The frame set was so light, probably half what my Parkpre weighs! Last edited by Easy_Rider on Wed Oct 27, 2010 7:50 am, edited 1 time in total. The Pro Carbon in question came into our shop (JC Cook) a while ago as a trade in, not sure the fella was the original owner, bit I think most of the parts are original. Indeed I do, lived there for a while as a kid before decending down the country Most of the family still live around there...I remember the old fella well, we used to annoy the hell out of him by going into the place en masse and messing about with the bikes, shifters etc. If there's a picture/spec of a model called Zigzag when you get round to doing the scansb I'll be over the moon! Sorry these are by camara i will sort the scanner out and do them and my other catalogues soon. British eagle 1993, Just a few i have done. 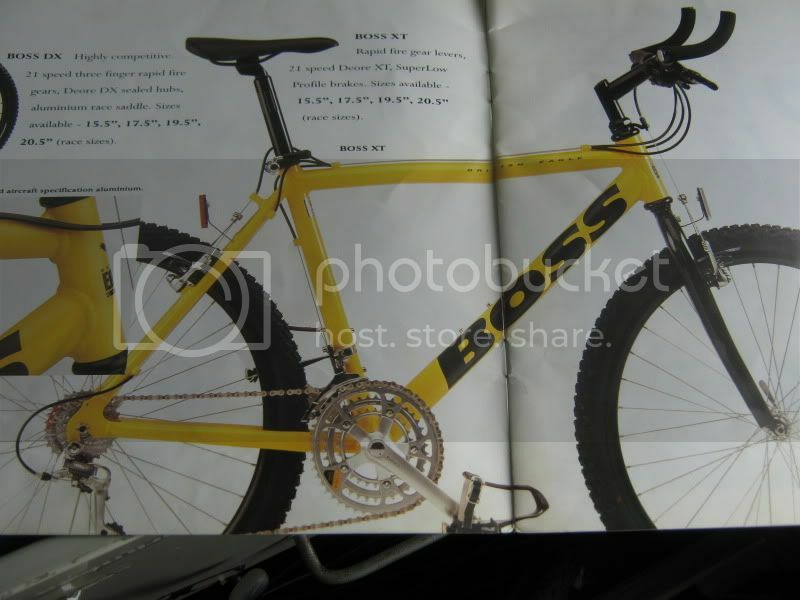 Hi everyone, found this site looking for pics of my old bike, a british eagle K1, bought out of the grattans catalogue when i was 12, i loved that bike until some pikey had it out of my garage, but then upgraded to a kona cindercone, so not all bad. I was wondering if anyone had any pics ?? Oh my god!!.. This takes me back, forgot about these bikes, the Pro carbon and BE Boss!.. I used to sell them in the bike shop, we sold Claud Butler, Britsh Eagle, alpine stars and a few others I cant remember now.... The good old days! !